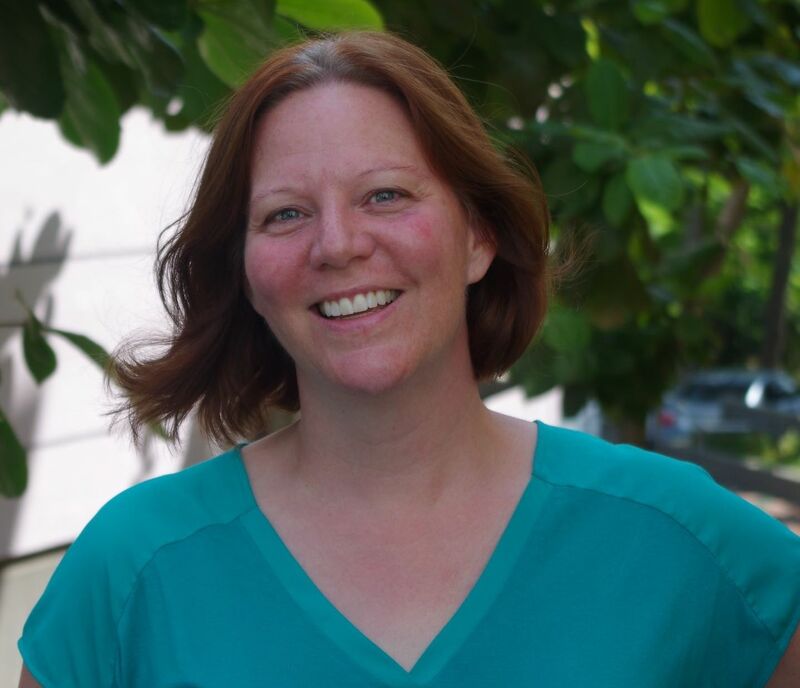 Get to know the teachers! Dear AST Families and Friends,Thank you to all the parents who joined us for conferences this week. Our regular connection with each other helps to create the primed, targeted, and supportive learning environment at AST. Amazing results come from the combination of student interest, a supportive school, and active parents. Did you know?AST MS Girls Volleyball won their tournament. This was the result of interested and hardworking students, a supportive environment at school with facilities and good coaching, and active parents who advocated for our student-athletes at just the right time.The AST Cross Country Team earned Third Place overall in our meet. Again, interested students, and a combined supportive community of faculty, staff, and parents not only hosted a fantastic event for the international school community but an event where our team thrived. Note: for the first time, elementary students from around Taiwan were included in this event.AST Robotics--Team Astonishing-- is representing both AST and Taiwan in international competitions in Louisville, Kentucky, USA, and in Izmir, Turkey. They qualified for the VEX competition in Kentucky as one of two teams from Taiwan, and qualified for the FLL competition by winning the citywide Taichung competition. This happened because interested and passionate students were supported by both the school via facilities, equipment, and coaching, and by the parents who have given up countless hours on the weekends and during breaks for these teams to fine-tune, practice, and tweak their robots. April is traditionally the time when the arts are celebrated internationally - World Art Day on April 15 and the Arts Olympiad by the International Child Art Foundation in April - lead up to International Youth Arts Week the first week of May. A big thank you to Mr. Yuri and all the volunteers and all the runners for another successful AST cross country meet. It was so fun to see and feel the excitement of race day and to hear the spectators cheering the racers in at the finish line. Welcome to the American School in Taichung. For over two decades, AST has offered a challenging education for students who must function in a rapidly changing, multi-cultural world. Our graduates are expected to exhibit traits of excellence, integrity, and responsibility as they develop problem solving skills to meet the needs of the future. AST is fully accredited by the Western Association of Schools and Colleges. We offer an American curriculum designed to prepare students for success in US colleges and universities. We accomplish this by attracting a teaching staff of fully qualified and certified teachers who bring experiences from American and International schools to our students. Small class sizes enable our students and teachers to form lasting relationships that enhance the educational atmosphere. As a small school we are able to foster a sense of community that further enriches the environment for learning. We realize that parents entrust their greatest treasure to us, their children, and we take that responsibility very seriously. As you learn more about us, I hope the excitement that is at the heart of AST is evident. Our success is found in the lives of our graduates. Our mission is to help them create the future. This web site will introduce you to the American School in Taichung. If you have any questions or would like to learn more, please contact us through the admission office. We are open to all students with foreign passports and provide special support to English for Speakers of Other Languages (ESOL). American School in Taichung is an international school with a commitment to excellence, integrity, and responsibility that prepares college-bound students for a rapidly changing world. This is a timeline representation of our long history since our grand opening in 1989 including celebrations and remembrances. AST is located in the scenic Dakeng region, in the foothills at the edge of Taichung. Dakeng is famous for hiking, hot springs and for its natural beauty. We strongly encourage you to visit AST to see the campus for yourself. Campus tour is by appointment only, so book ahead! Please contact our Registrar’s office to make an appointment. Please submit all application documents to the Registrar's office. The necessary documents are listed below. One photocopy of your current non-ROC passport. Non refundable application processing fee of NT $3,000. Important: Application materials sent to American School in Taichung become the property of the school and will not be returned or forwarded to other institutions. For grades 1 through 2, applicants will have an interview in English with a member of the faculty. For grades, 3 and up, applicants will be tested on English listening and reading comprehension using a computer-based English proficiency test. In addition, they will respond to a writing prompt. In rare circumstances, additional testing may be required. Age: By August 31 of the school year the applicant must be 6 years old to enter grade one. English/Math proficency: The results of the candidate's assessment must demonstrate a high potential for success at AST. We will call to inform you of the admission decision, and discuss registration and orientation procedures for successful applicants. AST is separated into three divisions. These divisions follow the same bell schedule, have lunch together daily, and gather together monthly in an all school assembly. Our elementary school serves students from grade one through five. This division is characterized by an American curriculum featuring one teacher throughout most of the day developing a strong core in English, mathematics, science, and social studies as well as daily Chinese language instruction. This division also focuses on social and emotional learning, developing an understanding of self and a concept of the world around them. Our middle school serves students in grades six through eight. This division is characterized by an American curriculum with a strong focus in English language development, character development, leadership development, and personal exploration. Our high school serves students in grades nine through twelve. 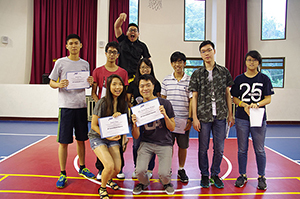 This division is characterized by an American curriculum including an extensive Advanced Placement program, hosting the largest annual Model United Nations event in Taiwan, and providing numerous opportunities for developing leadership, personal exploration, fostering creativity, and building critical thinking. 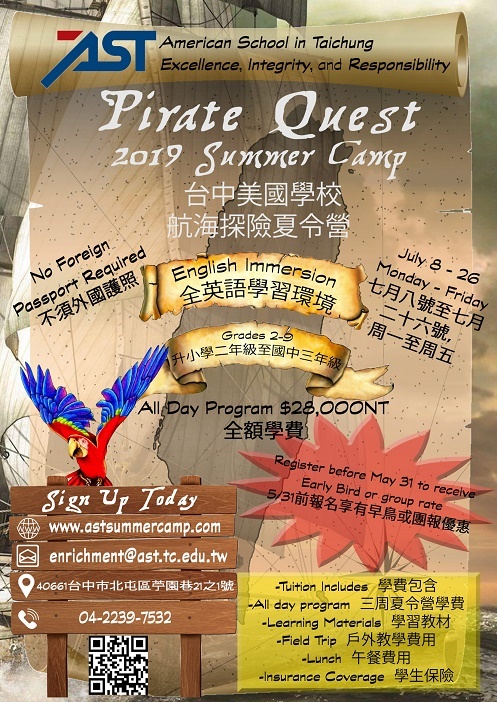 American School in Taichung is a one-through-twelve non-profit international school serving expatriate and internationally mobile families in Taichung, Taiwan. The school offers an American based curriculum that allows for transfer to and from other international schools, and western style educational systems. The school is fully accredited by Western Association of Schools and Colleges (WASC). Current enrollment is 233, with 92 students in High School, and 67 in Middle School. Most of the 40 faculty members come from the United States, though Canada, England, Columbia, and Taiwan are also represented. AST is dedicated to providing a rigorous, western-style education to all students. Classes tend toward problem-solving, cooperative projects, and critical analysis. Communication skills are a particular focus at AST: the school offers Chinese language studies (both for native speakers and for Chinese language learners), English writing and literature studies; a full ESOL program, and Speech as an elective. All students participate in a variety of classes in the fine and performing arts, and physical education and health and nutrition. Over the past six years, all of our Seniors have gone on to higher education. 57% of grade High School students took at least one AP exam. 55 students took 121 AP exams. 21 students (22% of our HS students) were awarded AP Scholar (9); AP Scholar with Honor (7); and AP Scholar with Distinction (5). 2 AST students were also granted AP International Diplomas. AST intentionally fosters a culture supporting student initiative, self-management, and governance. The students are deeply involved in Student Government, starting in 3rd Grade. 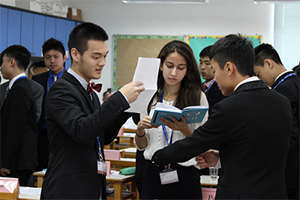 By High School, the students are creating and executing a strong calendar of events, which include TAIMUN – the Taiwan Model United Nations. TAIMUN is the longest running Model UN in Taiwan, attracting more than 300 participants from schools across the island, and from other countries. TAIMUN is substantially student organized and operated. 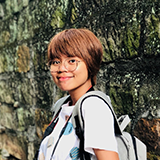 Additional activities have included student created and organized aid trips to Cambodia; support of Amnesty International; support of famine relief; and support of schools for the disabled. Summer camp dates are July 8 - 26, 2019. Campers will enjoy three weeks of adventures while making friends, and learning in a completely immersive English language environment. Open to grades 2-9, there will be interactive activities and multiple field trips. Please like our facebook page to receive updates. We are excited to see you this summer!